So, after a teaser that confirmed what was being rumored months ago, Nvidia officially presents its new generation of graphics cards. Yes, according to the latest reports, Nvidia just launched its new GeForce RTX 2000 series with 6x faster performance. 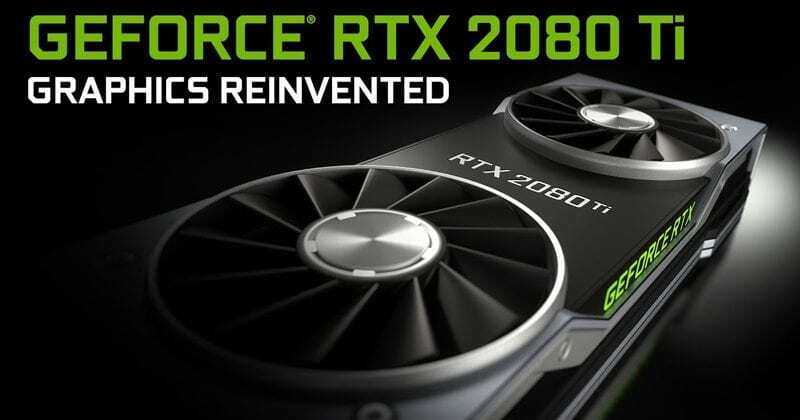 After a teaser that confirmed what was being rumored months ago, Nvidia officially presents its new generation of graphics cards: Nvidia GeForce RTX 2000 series. This confirms the name that had already been leaked and that will be the components that premiere the new Turing architecture, which they already showed us in a previous event. The family of graphics has been presented in a very encouraging environment and moment: the Gamescom 2019. One of the main events of the year for gaming, land in which the manufacturer wants this new generation to shine. Its strengths: new architecture, GDDR 6 memory, and the new ray tracing rendering technique. RTX technology recently spoke at SIGGRAPH for the presentation of their new professional graphics, the Quadro RTX, where they also presented the Turing architecture. There, the new ray tracing rendering was a great protagonist, allowing more efficient and realistic management of the light source. Thus, the new graphics consumer cards are the Nvidia GeForce RTX 2070, RTX 2080 and RTX 2080 Ti. The company promises a performance “up to six times superior to the previous generation of graphics”, counting with models of Asus, EVGA, Gigabyte, MSI, PNY, and Zotac. What stands out: the performance that RTX technology has in real time. The company has shown several examples in which the degree of detail and realism in the reflections and lighting stood out, showing a remarkable advance with respect to the previous generations. The new graphics start from the 8 GB of GDDR 6 memory, integrating a refrigeration composed of dual fans and a new double capacity steam chamber. And in addition to all the graphics power and those very realistic illuminations they have shown, Nvidia talks about how silent their new cards are, specifically that they make a fifth of the noise that the 1080 Ti emits (even with overclocking to the maximum). As the studies themselves had already advanced, there are already some titles that support the RTX graphics, namely ‘Shadow of the Tomb Raider‘, ‘Metro exodus‘ and ‘Battlefield V‘. Some demos have been shown in the style that we have linked before. This new generation graphics cards of Nvidia will be available for purchase in the official web portal of Nvidia, although the estimated date of shipment is September 20, 2019. As we mentioned earlier in the datasheet above the Nvidia GeForce RTX 2070 will cost $499, the Nvidia GeForce RTX 2080 will cost $699, while the Nvidia GeForce RTX Ti will cost $999.